James Eisenhauer graduated from Wilson in 1984. 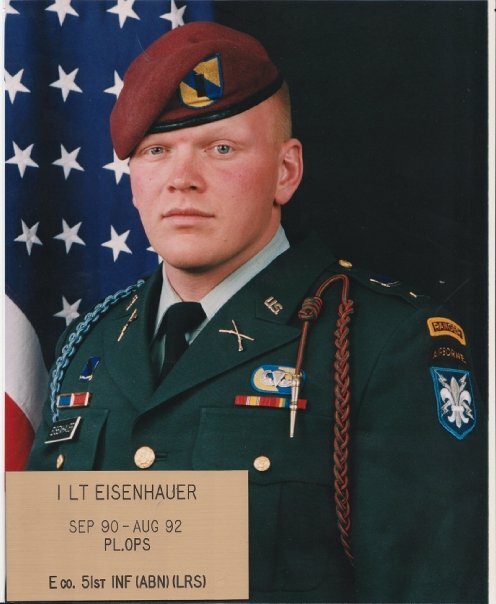 He served four years in the Army from 1989 to 1993. Jim was an Infantry Officer serving in Europe where he earned his German, Danish & Belgique Jump wings. Jim was also a graduate of the Army: Airborne, Ranger, Jump Master, Air Assault & Long Range Surveillance Schools.